Today is raining a lot outside so I don’t like to go out when the weather is like that. I have to admit that I really got ready to go and take some shoots for a new post, but at the end my mod was: off. I hope tomorrow I feel better and take some with a new outfit. Meanwhile, I wanna share with you the make-up I use. I have very natural one for the days I don’t wanna go very “showy”, but also for those days I like wearing a red lips. Those are the pre- bases from Mercadona market. 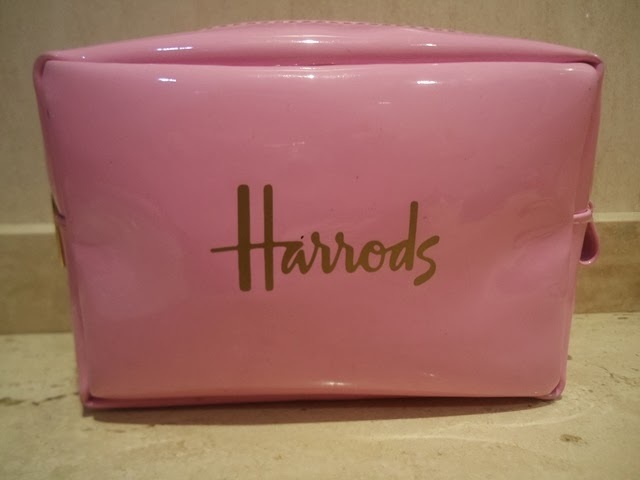 They are quite good and I use the almos everytime I make-up myself. One is for the face (left) and the other one for the eyelids (right). This is my second step. Depending on my mod, I choose one base or another one. The one I most use is from M.A.C. ; the second one is from Maybelline (this one is a gift from Ana); and the last one in a BB cream from Konad. 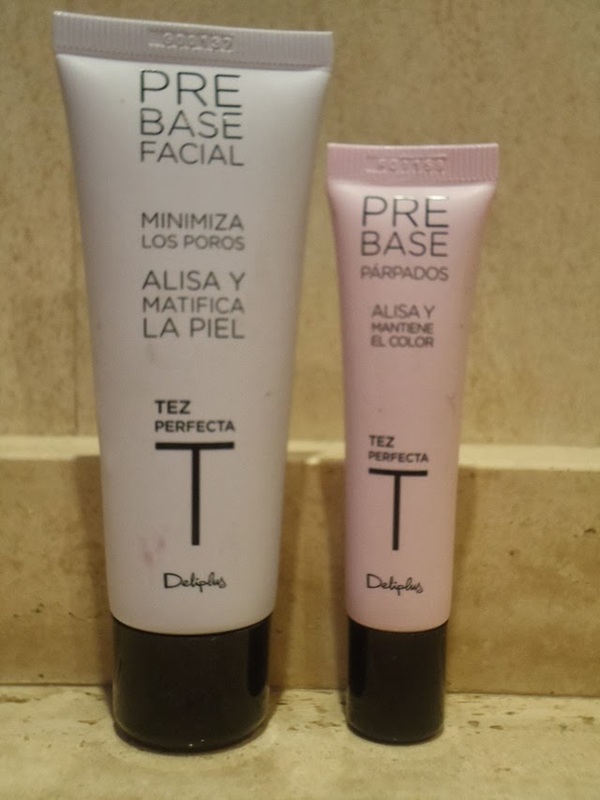 Which is a must have are the corrector and (from NYC and the face powder from M.A.C.). The Third step: decide what to wear on the eyes. 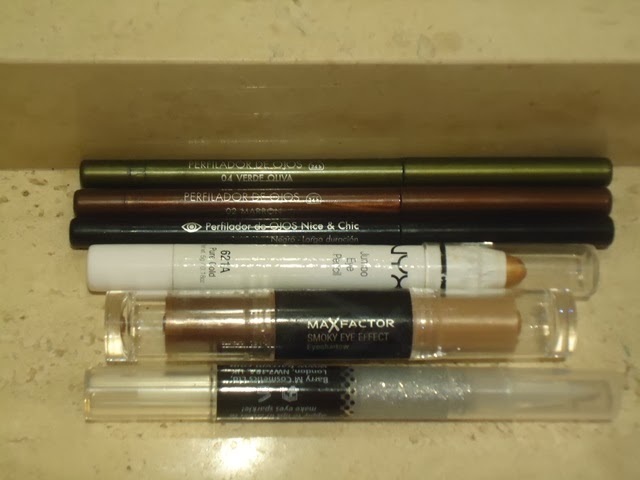 When I want to enhance my eyes, I use the green or the black eye pencils, but when I wanna wear some colorful lips, the choice is the brown shadows and eye pencil. I also have a silver glitter for the special days (which I bought in Edinburgh). Fourth step: the blusher. This is the only one I use. 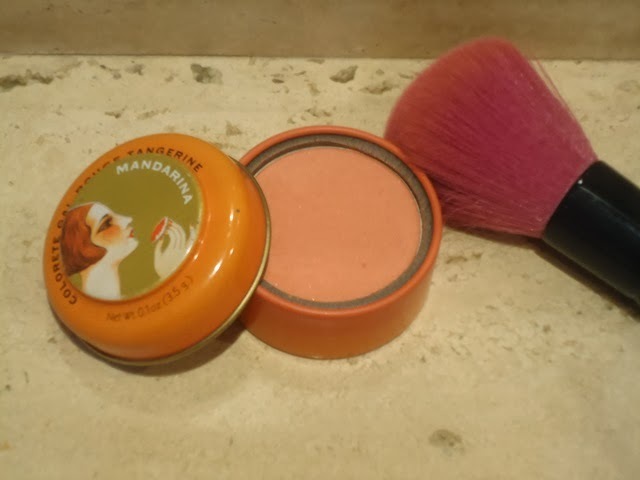 It’s mandarin color and I love it, because is the only one that fits with my skin. Fifth step: the rimmel. Those are my three favourite ones. 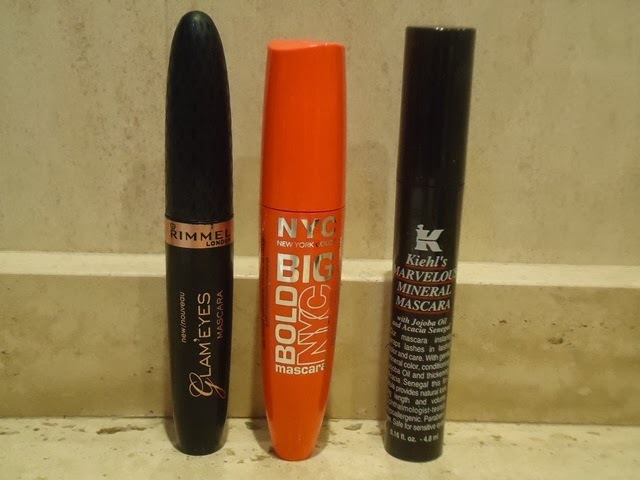 Starting from the left, I love this Rimmel brand rimmel, is the one I’ve been wearing from 3 years; then, the one from NYC, which is a recommendation from my friend Ana; and the last one is from Kiehl’s, and I use this one when I feel my eyelashes very weak, because it has jojoba olive to help them to repair. Sixth step: lipstiks. This is my favourite part of my make up ritual. 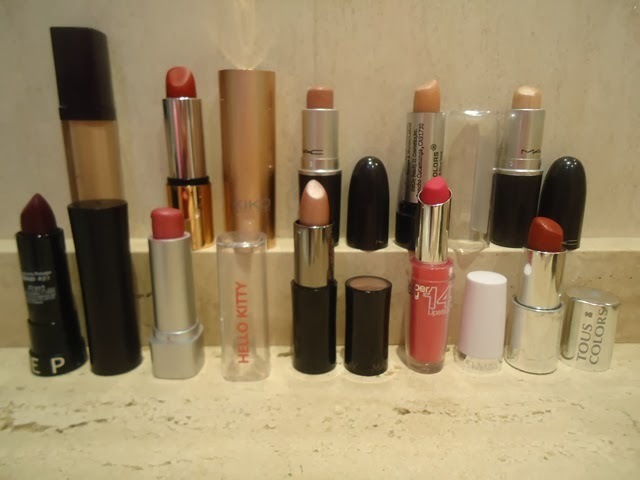 My first decision is based on the pipstick I wanna wear that day. They are from Sephora, Mary Kay, Tous, M.A.C., Kiko… But my two favorite ones right now are the ones from Sephora (left down first one) and Kiko (top left second one). To finalice, of course, the perfume! Those are the two ones I use. 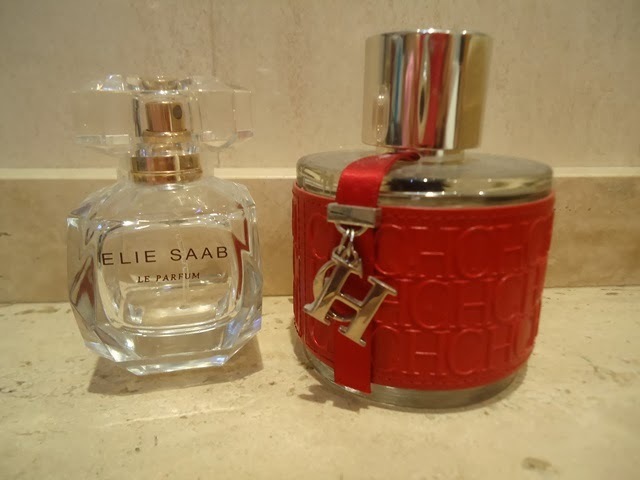 Carolina Herrera (wearing since I was 16) and newly one from Elie Saab: Le parfum.